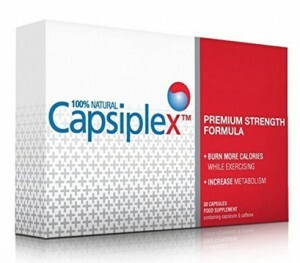 The original Capsiplex formula was launched in late 2009 mostly in the UK. 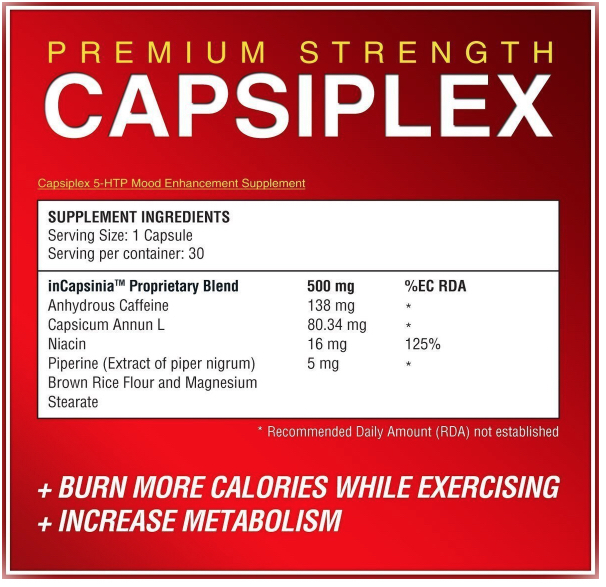 According to the ingredient labels and most of the affiliate marketers there is very little real difference between the original and this “new” Capsiplex Plus formula. What is the “plus”? It is the addition of some confusion, some tricky marketing copy and a technique that most people would call a bait and switch. The main ingredients in Capsiplex Plus are chili and capsicum. Some caffeine is added to the product along with other ingredients. Each of the ingredients that are contained in this formula have been studied but they may not have been studied as a combination such as this. There are several ways to order Capsiplex Plus including from Amazon and from individual affiliate marketers as well as directly from the company’s website. There were several reports that Amazon had stopped the sale of this product on its site, however this was not the case at last check- the pages for Capsiplex are all up and fully operational. Be warned that there are also reports of faked versions of Capsiplex Plus being sold on eBay and similar sites. Always buy any supplement from a trusted source. Are the Capsiplex Plus Claims Outrageous? As you can see, these are some fairly amazing claims. The addition of clinical trials and the mention of the FDA makes the product seem even more legitimate but how good are any of these claims? First, the ability to “lose weight without effort and without changing your eating habits.” Most people know that losing weight is a major effort. They know that they will have to make serious changes to their lives to get lasting results but there are always those people who will fall for the magic pill approach. That is what the makers of Capsiplex Plus is counting on. In reality, there is no pill that can allow you to eat whatever you want and still allow you to lose weight. If that was the case we would all be thin and the makers of these pills would be out of a job. Second, anytime that you see a claim of a specific time and number of calories burned you should know that you are being snowed. The reason is simple: calculating calories burned is not at all simple. There are many factors that influence how quickly each person burns calories – from their age, height and weight to the activity they have selected, their fitness level and even the temperature that day. In short, no one can claim that their pill burns X number of calories without using the small print warning that the number was for the average person of a certain weight and that the number given was only an estimate. That does not seem to be the case here. Let’s imagine that you are a 130 pound woman. At the weight, the average number of calories burned for 80 minutes of walking would be about 650 and for 25 minutes of jogging it would be a little under 300 calories. As you can see, this is a pretty high discrepancy which makes the claim seem even more dubious. That takes us to the next claim- the one about the clinical trials and the increased calorie burn, before, during and after exercise. Just getting the calculations for calories burned at these three stages would be mind blowing but also a little confusing. Do they mean that it is 278 total or 278 more calories before, 278 during and 278 more calories burned after exercise when using Capsiplex Plus? That would be a staggering 834 more calories burned on top of whatever you are burning during exercise. Our 130 pound woman would be burning nearly a full day’s worth of calories just by walking and taking her Capsiplex Plus, right? But, hold on a minute. There are some issues here worth noting. First of all, there is absolutely no record of this clinical trial on the University of Oklahoma’s website. You can search by “weight loss drug”, by brand name and by ingredients- there is absolutely nothing there. If you Google search, the only results you will get are Capsiplex’s main website and several affiliates. The study that the website is basing their claims on supposedly used 25 people of ages ranging from ten to thirty. Ask any first year college student why this is laughable. You can’t base a study on a sample size that is both too small and too wide- the results are going to be off from the start. Something meant for an adult would never be tested on a ten year old. Something meant for a child would not be given to a thirty year old. Even if you have never been to college that should make sense to you. The next claim is kind of a fun one. On one hand, Capsiplex is supposed to give you more energy, help you keep going for longer while decreasing your appetite (but still letting you eat whatever you want!). On the other hand, this same miracle supplement is supposed to allow you to get a good night’s sleep. If anyone can figure out how this magic happens, that would be awesome. The next claim is that you will take “one pill per day”. That is true for the old Capsiplex, however for Capsiplex Plus you get a “bonus” of 5 HTP which is a mood enhancer and yes, you guessed it, a second pill. Technically you are still only taking one of the Capsiplex so this claim might slide through on a technicality. The website and most of the affiliates also claim that the product is FDA approved. Again, there is no mention of Capsiplex or Capsiplex Plus on the official FDA website at all. This may be a good thing in that there have been no warnings issued by this agency in regard to Capsiplex Plus. The pills are supposed to be coated in such a way that they do not dissolve until they are in the stomach but this is not always perfect and there are several of these complaints. There are a few pros here. For one thing, all of the ingredients are natural.Individually they have all been studied numerous times and are generally considered to be safe for most adults. There is some evidence that the capsicum plus the pepperine can help you to lose weight over time and the slight boost of caffeine may help with increased energy. If you can take that energy into your day and get more exercise, then all the more power to you. As you can see from the lengthy claims section, there are a lot of negatives to consider here. There are other issues that you might consider as well. Capsiplex Plus is fairly expensive- the cost per pill does go down in higher quantities but then you are committed to taking this product for two or three months. How will you know if you will be able to continue taking it for that long? The reviews on Amazon are a mixed bag with many of those that are 3 stars or less complaining about it being totally ineffective and there being too many problems with side effects. That alone should make you seriously consider whether you want to try it or not. Another big con is the use of the “eat what you want but still lose weight” claim. There are some gullible people who will buy this line and they will continue eating entire pizzas by themselves or double fudge chocolate cake for dessert three or four times a week and then they will wonder why their magic pill did not work for them. Quite simply put there is no magic pill. Stop eating cake four times a week and pick up some veggies. You want peppers? Eat them with your scrambled eggs and get the same effect plus some antioxidants, some fiber and no worrisome side effects and at a fraction of the cost to boot! It is quite simple really- no diet pill is ever going to work exactly how it claims for everyone or there would soon be no more customers. Sure there might be some people who will get some benefits from Capsiplex Plus but they would get the same effects from eating hot peppers, using black pepper on their food and drinking a cup or two of coffee. This is an expensive product with far too many bogus claims to ignore. This is not worth the risks or the expense. If you want to check out these pills directly and check the reviews over there as well, you can find them here. If you have any feedback or experiences using this pill (or questions), I would love to hear them. Simply drop a comment below and I will be sure to get back to you. Well done review of this diet pill, I was glad to see you break it down the way you did. Perhaps you could review some of the others on the market as well. There’s a lot of talk these days about the natural effect of turmeric, in losing weight. A quick search brings up several possibilities. I wouldn’t know which one is supposedly the best. Just that this is the “Newest Thing” that I’ve heard of. Then there’s the very popular alli. The only one FDA approved and based on the ingredient orlistat. It’s the same ingredient as some of the prescription weight loss pills. Which they quickly dismiss on their site in their FAQs. Saying it’s the same ingredient, but it’s different. Anyway, thank you for your in-depth reviews. There are 1,000’s of different diet pill solutions on the market out there, many of which contain very similar make-ups as to that of Capsiplex. Not to say they are bad, some are very good and they do contain attributes that will lead to more effective work outs, more energy, longer duration and a better mindset (as a result of things like caffeine). I will be reviewing other products as well, including Tumeric in the future. Lots of health benefits there and it is important that people are made aware of them. Well, I guess I wont be purchasing Capsiplex. I do need my sleep and anything with caffeine really keeps me up at night. I try to drink my coffee in the mornings, that is enough caffeine for me, lol. I did hear about another diet pill that I was interested in trying, but it does offer the same claims as Capsiplex. I guess you can it’s the new craze it’s call, Forskolin Fat Loss Extract, have you heard about Forskolin and what are your thoughts about it. Thanks! Coffee can actually work good before a work out as well, a simple solution for getting more energy, increasing your motivation and burning more calories. Just do know that if you work out at night, it might keep you up a bit later! If you are really keen on getting caffeine pills, you can pick up some from your local health food store.